From Antiques, Unique Vintage items, Handcrafted Treasures, New and Vintage Jewelry, New and Gently Used Designer Clothing, all the way to Funky "one-of-a-kind" items. Please take a moment to look. You never know what you might find. I used to be the Empress of Retail Therapy. Some years and umpteen episodes of Clean House later, I decided to finally clean out the shelves and the closets and the tubs that traveled across the country with me. All my items are listed with an option for "Best Offer." I still love to comb the antique stores, it's all about the treasure hunt, you know? Giving it as a gift? Make sure you let me know and I'll be happy to gift wrap for it you. Thegirlsrock99 doesn't have any items in their booth! A wonderful Buyer and Seller on Bonanza! She has fantastic items in her booth, buy with confidence from this A+++Seller! Hi, so kind seller,I am a new seller and thanks for your welcome me here, good luck! ordered a beautiful necklace and garnet ring (absolutely beautiful) from this precious soul and i am so pleased with them. and this lady is so kind, helpful and creative and most of all NICE! lovely lady! will do business again! Nice booth! Very unique and rare items! Super-friendly, responsible seller!!! Great Booth! 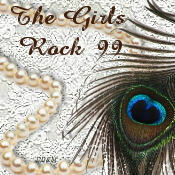 How could it not be Great with a name like The Girls Rock 99! GREAT ITEMS, FRIENDLY SELLERS, HELPFUL, COULDN’T ASK FOR MUCH MORE!